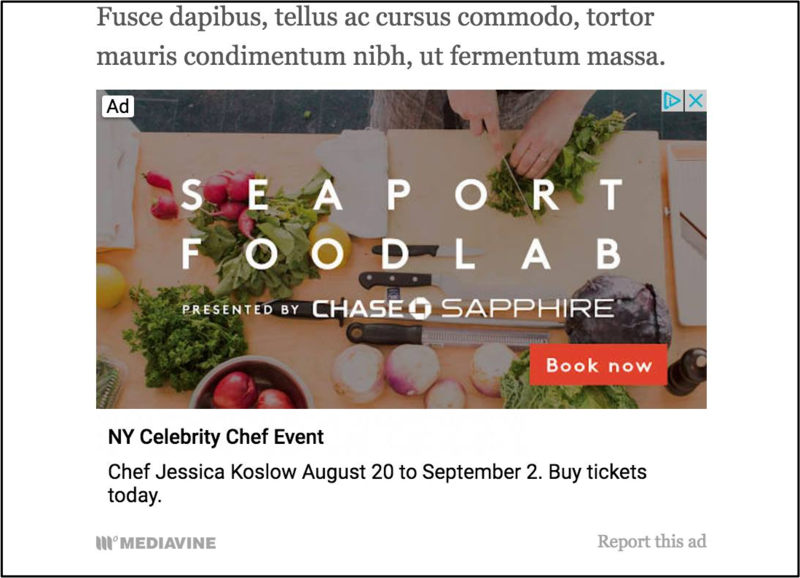 Ads that mimic your website's look and feel — called native advertising — are more and more common. In addition to traditional banner advertising, Mediavine offers several types of native ad units. Our native ads run in-content on desktop and mobile but they're not simply a boxy 300x250 ad. These ads tend to better match your site by filling up the width they're in and trying to blend into your site and content a little better. Each ad takes on the look and feel of the website it's on using CSS stylesheets. Native ads don't just look prettier, they perform better too. Because those ads are a better user experience, users are more likely to notice them and engage with them, which means happier advertisers. Happier advertisers buy more on your site and that means you make more money long term. Native ads are a big part of the future of display ads and are really excited to now have 3 partners competing in our auction with native ads. We anticipate an even bigger boost long term as more advertisers adopt these native ads and learn about your site's native performance. 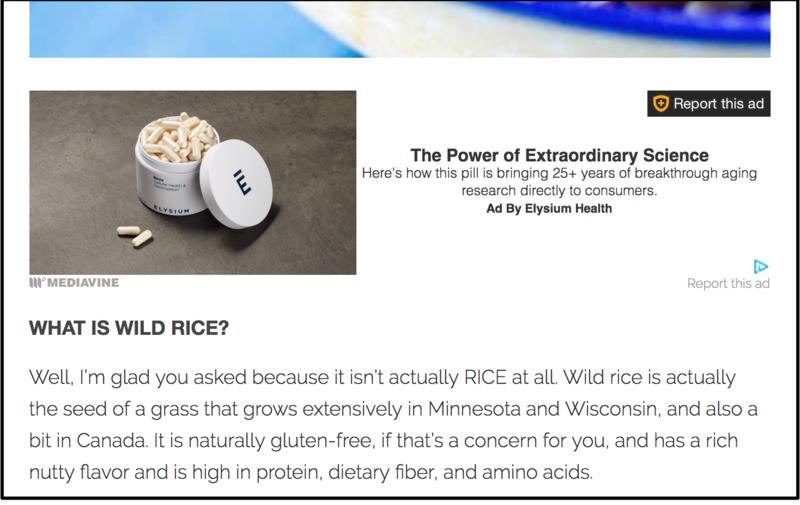 Currently Mediavine works with three partners who offer native advertising, and each one is a little different. 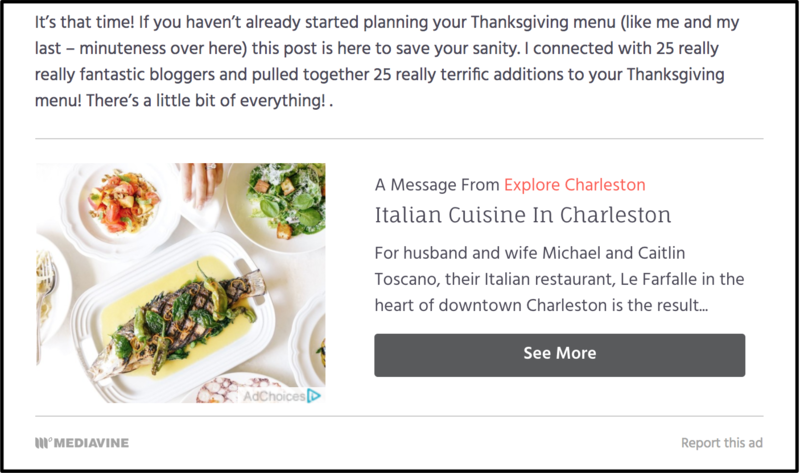 TripleLift offers native advertising that mimics the font styles on a website. These ads use the fonts and color schemes already on the site. These ads always feature a line above and below the ad. Similar to TripleLift, these ads stretch to the width of your content, mimic the site's font styles and colors. These ads feature a 600 pixel-wide image on desktop with a short caption below. They always feature the word "Ad" in the top lefthand corner of the ad creative. How do I report these ads? As always, click the "Report this Ad" under the ad to report it. If you are the site owner, type "MPN" into the description of the report to report it to us and we will work to get it blocked for your site. Learn more about reporting ads. If you have any questions, please click the chat button in the bottom of your screen or email the Mediavine team at publishers@mediavine.com.